New Pokemon Games! Pokemon Gold & Silver remakes: "Pokemon HeartGold & SilverSoul" ! Nintendo DS Pokemon Gold & Silver 10th Anniversary Nintendo DS Remake !! 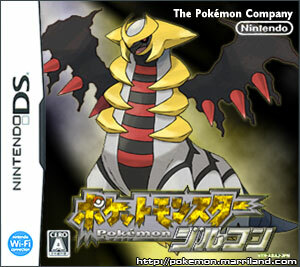 Gameboycolor's Pokemon games "Pokemon Gold & Silver" have been officially announced to be remade for the Nintendo DS! Release Date: Autumn 2009 in Japan. 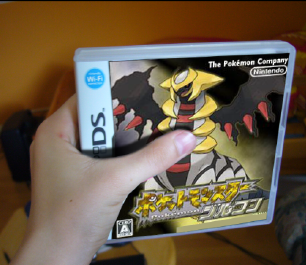 New Pokemon Game: "Pocket Monsters PLATINUM"! 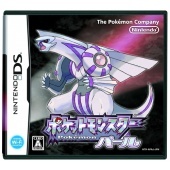 Limited Edition: Nintendo DS Lite "Pokemon Diamond Pearl: Dialga & Palkia"
is now officially available in North America! 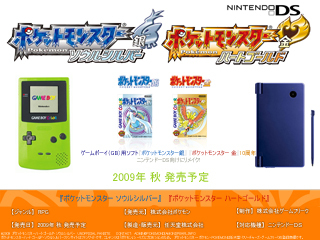 The Nintendo DS Lite was a Japan-only Pokemon Center exclusive release! New Pokemon Games! "Pokemon Opal/Topaz/Amethyst" and Gold/Silver remakes? 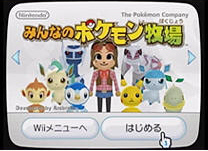 Sequel to "Pokemon Diamond and Pearl"
Pokemon Fan web blog "All About Pokemon Figure" (AAPF) has found in the Industrial Property Digital Library web site that Pocketmonster Topaz; Pocketmonster Amethyst; Pocketmonster Whitegold; Pocketmonster Tourmaline; and Pocketmonster Moonstone are trademarked by Nintendo, Game Freak and Creatures. 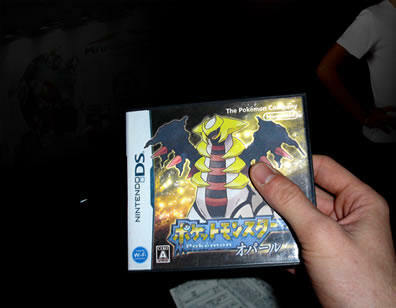 Fake cover of "Pokemon Zircon". Cover by Marriland.com and Photo by FilbBoard.de members. The Idea of the new Pokemon games came from the 3rd game released 1-2 year after each Pokemon Gameboy/Gameboy Color/GameBoy Advance release, such as "Pokemon Yellow" after Pokemon Blue/Red, "Pokemon Crystal" after "Pokemon Gold/Silver", and "Pokemon Emerald" after "Pokemon Ruby/Sapphire". Rumored news also were regarding a Pokemon Gold and Pokemon Silver remake for the Nintendo DS, as It happened with the GameBoy "Pokemon Red/Blue/Green" to be remade officially into the GameBoy Advance "Pokemon LeafGreen" and "Pokemon FireRed"! 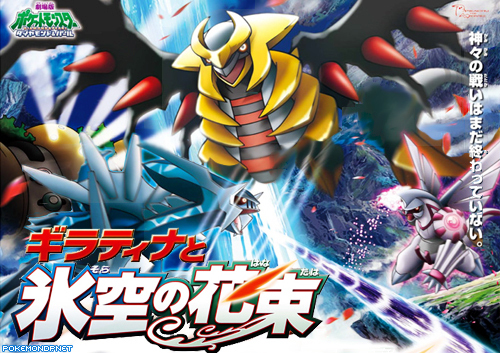 Expected new Pokemon games titles are "Dawn Silver", and "Dusk Gold". There are not any official announcements from Nintendo nor The Pokemon Company regarding any new Pokemon Nintendo DS game, for now everything about these remakes are absolutely rumors. 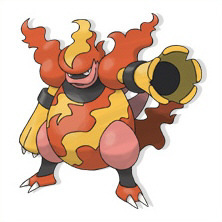 ▪ Marriland Forums: New Pokemon Games? ▪ ¡¡Pocket Monsters OPAARU existe!! Pokemon Ranger's Manaphy Egg Secret code! 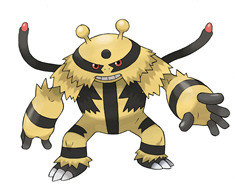 Pokemon Battle Revolution's Electivire & Magmortar secret codes! 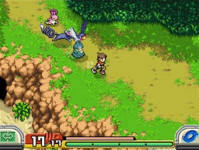 The 2nd WiiWare Pokemon game! The Pokemon Mii Channel! 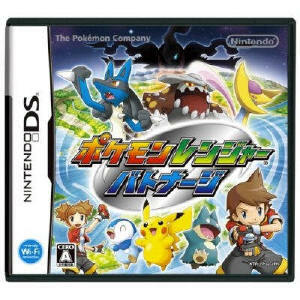 Transfer your pokemon from the Nintendo DS Pokemon Diamond and Pearl games to the Wii's Pokemon farm! The game starts with having 6 Pokemon, and a new Pokemon is given daily. Everyday, Yukari asks to bring a new Pokemon, giving hints about where to find it in Pokemon Diamond & Pearl. Presents! Two Cherish balls can obtained from the Ranch, which can only be obtained to Diamond & Pearl from this game. And most importantly, Mew can be obtained at Level 50 if 999 Pokemon were imported! Also, Phione can be obtained by importing 250 Pokemon and trading it for Leafeon! Over 1000 Pokemon can be transferred from the Nintendo DS Pokemon Diamond & Pearl to the Nintedo Wii Pokemon Ranch! Taking Photos with your Pokemon and sending it to your Wii Contacts is also possible! Available on the Wii Shopping Channel for 1000 Wii Points. Pokemon Ranger 2: Pokemon Ranger Batonnage !! 2008.03.20 Release! 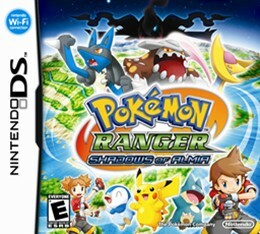 A new Pokemon Ranger game will be released on March 2008 in Japan! 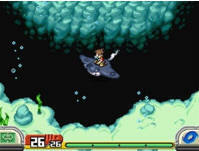 "Pokemon Ranger Batonaji (Batonnage)" will have new features, most noticeably that it'll be possible to surf! 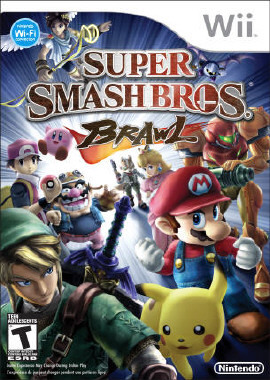 Wii Super Smash Bros: Brawl!! The newest and the first Wii "Super Smash" game! 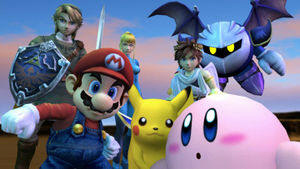 Over 30 Pokemon to appear in Super Smash! Including Pikachu, Lucario, Manaphy, Togepi, Celebi, Snorlax, Piplup and Deoxys! And also, for the first time the Pokemon manga main character "Red" will be there! 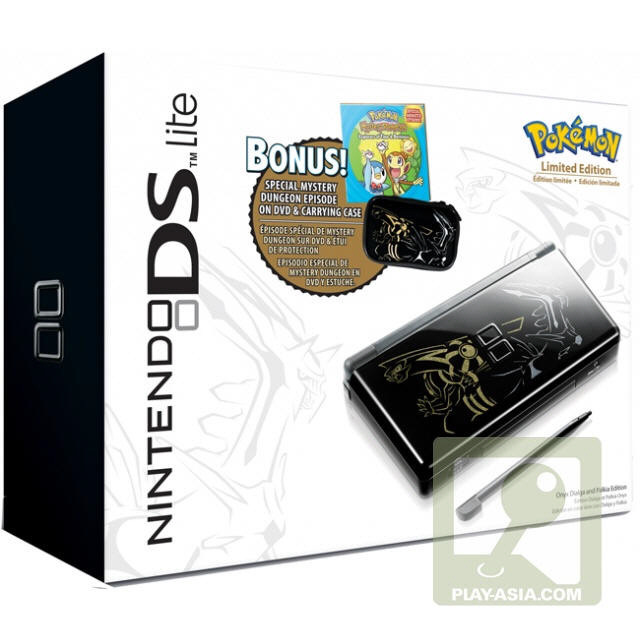 Limited Edition: Nintendo DS Lite Pikachu Edition ! Yellow "Pikachu Nintendo DS Lite" in the new Pokemon Center store in Tokyo! ▪ Now you can buy it at Play-Asia!!! Limited Edition: Pokemon Diamond Pearl Nintendo DS Lite! 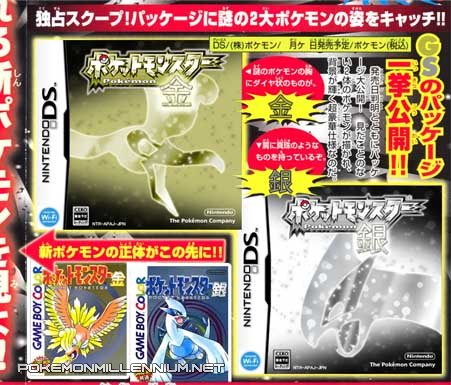 "Pokemon Centre" offered Black Nintendo DS Lite "Diamond Pearl" themed featuring the new legendary Pokemon "Dialkia" & "Palkia". * The "Diamond & Pearl" Nintendo DS Lite is a limited edition console, and currently only available in Japan. 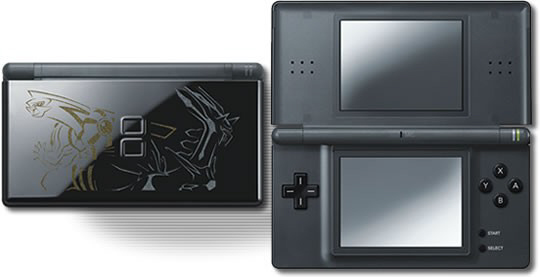 * The Pokemon Nintendo DS Lite has no new features to the Nintendo DS Lite console. LIMITED EDITION Pokemon Diamond Pearl Figure! » Pocket Monsters Diamond Pearl Figures are around 5 cm. 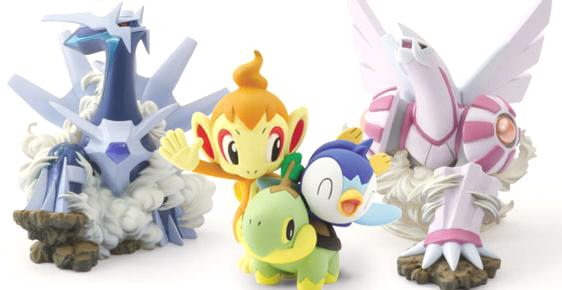 » Pocket Monsters Diamond Pearl Figures are sold in Japan in "Pokemon Centres" and major Local & Internet Retailers. 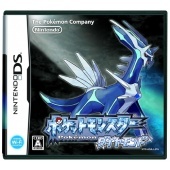 » Pocket Monsters Diamond Pearl Figures are also sold by Amazon.co.jp & YesAsia in a special bundle offer. Play-Asia does not ship the following figures. 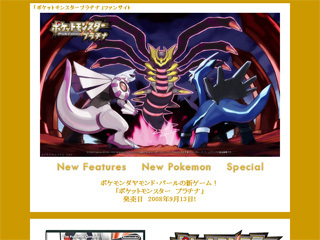 "Pocket Monsters Diamond Pearl Fan Site" is affiliated with Play-Asia, Amazon.com, Amazon.co.jp, Powweb and Google Adsense.